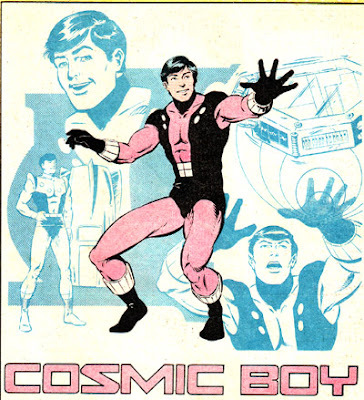 Cosmic Boy is one of the three founding members of the Legion of Super-Heroes and has the power of magnetism. He debuted wearing pink and then more pink and then debuted in the infamous corset look. 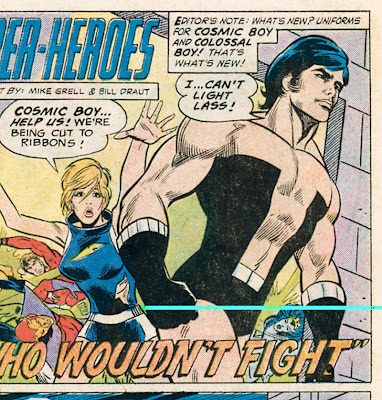 Above, Mike Grell recreates the signature look in a commission. I will always have a special place in my heart for this costume. 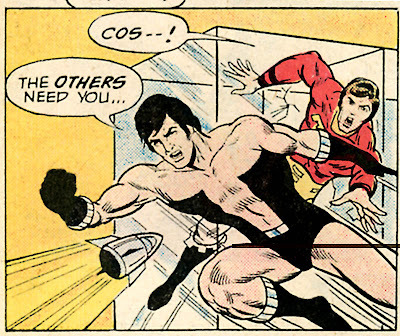 Check out out these fun reader-designed costumes for the Legion!